284 pages | 37 B/W Illus. Critical theory and popular wisdom are rife with images of surveillance as an intrusive, repressive practice often suggestively attributed to eastern powers and opposed to western liberalism. Hollywood-dominated global media has long promulgated a geopoliticized east-west axis of freedom vs. control. This book focuses on Asian and Asia-based films and cinematic traditions obscured by lopsided western hegemonic discourse and—more specifically—probes these films’ treatments of a phenomenon that western film often portrays with neo-orientalist hysteria. Exploring recent and historical movies made in post-social and anti-Communist societies such as China, Hong Kong, Taiwan, Vietnam and South Korea, the book picks up on the political and economic concerns implicitly underlying Sinophobic and anti-Communist Asian images in Hollywood films while also considering how these societies and states depict the issues of centralization, militarization and technological innovation so often figured as distinctive of the difference between eastern despotism and western liberalism. 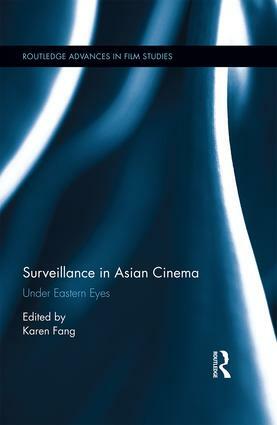 Introduction: Asian Cinema and the "Surveillance Archipelago"
Karen Fang is Associate Professor at the Department of English at the University of Houston, USA, where she teaches literature and film studies. Her previous publications include Arresting Cinema: Surveillance in Hong Kong Film (2017) and John Woo’s A Better Tomorrow (2004).